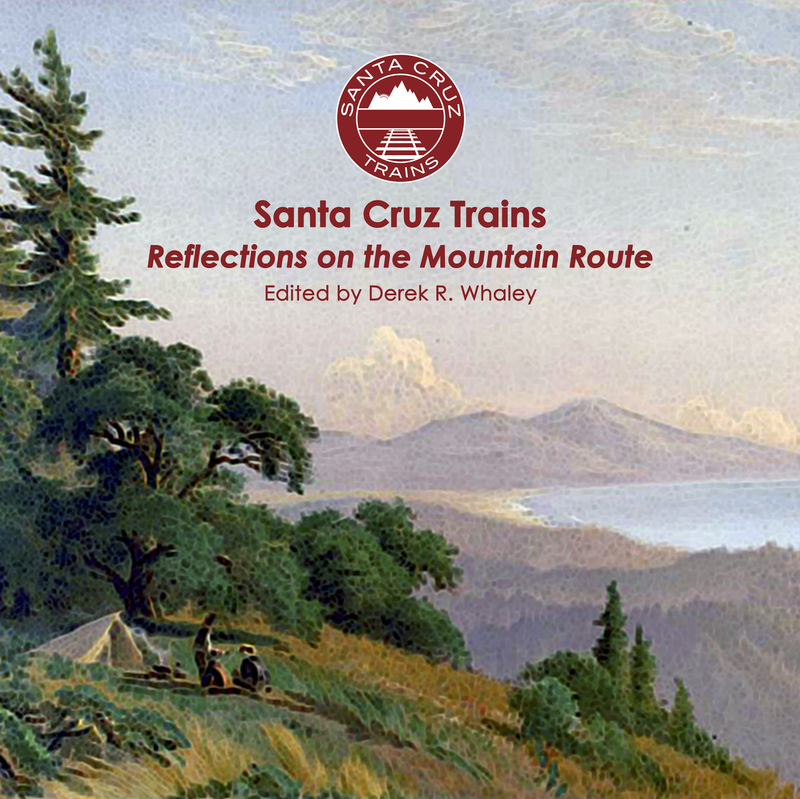 Santa Cruz Trains: Railroads of the Monterey Bay: Santa Cruz Trains Book Now Available! Santa Cruz Trains Book Now Available! 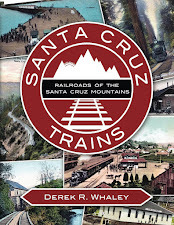 The wait is over for Santa Cruz history fans: local historian Derek R. Whaley’s Santa Cruz Trains: Railroads of the Santa Cruz Mountains has just been published as a soft-bound book through CreateSpace. The extensive 330-page book commemorates the 75th anniversary of the last train over the Santa Cruz Mountains and spans almost the entirety of Santa Cruz and Los Gatos history, from the 1850s to the present. Each article discusses a specific community, business, or geographic location linked to the railroad and is supported with full citations and references, maps, historical advertisements, and over 200 photographs, many of which have never before appeared in print. Article topics range from the well-known stations like Boulder Creek and Big Trees to such remote places as Call of the Wild on Los Gatos Creek and the Summit Tunnel. 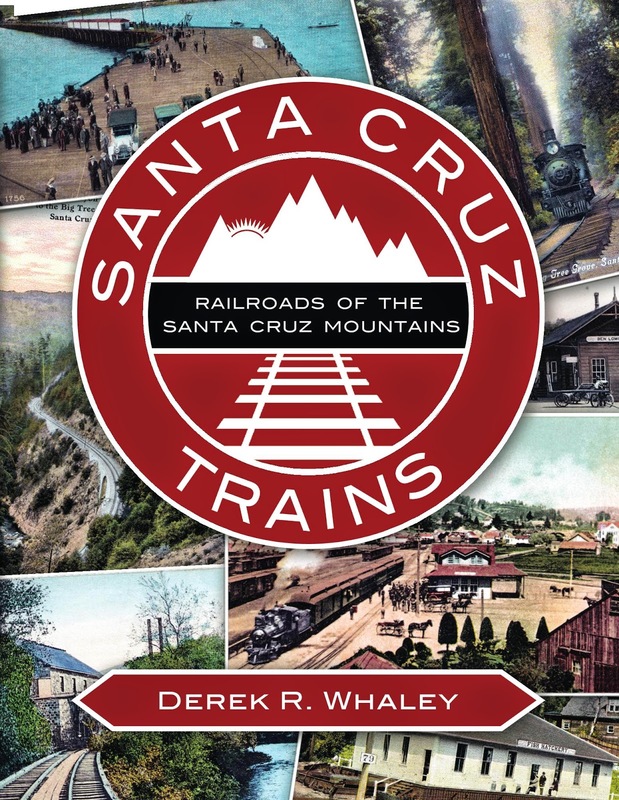 “This book is the result of over two years of research and the support of many local community members who have provided information and photographs related to the railroad’s presence in Santa Cruz,” says author Derek R. Whaley. Once there was an endless redwood wilderness, populated by only the hardiest of people. Then, the sudden blast of a steam whistle echoed across the canyons and the valleys—the iron horse had arrived in the Santa Cruz Mountains. Driven by the need to transport materials like lumber and lime to the rest of the world, the railroad brought people seeking out new ways of living, from the remote outposts along Bean and Zayante Creeks to the bustling towns of Los Gatos and Santa Cruz. Bridges and tunnels marked the landscape, and each new station, siding and spur signaled activity: businesses, settlements, and vacation spots. Summer resorts in the mountains evolved into sprawling residential communities which formed the backbone of the towns of the San Lorenzo Valley today. Much of the history of the locations along the route has since been forgotten. Derek Ryan Whaley is a local historian and recent resident of Felton, California. He has been involved in the Santa Cruz historical community since 2010 and is currently researching for his PhD in History at the University of Canterbury in Christchurch, New Zealand. His local railroad website www.SantaCruzTrains.com is updated weekly with new content relating to local railroad history.